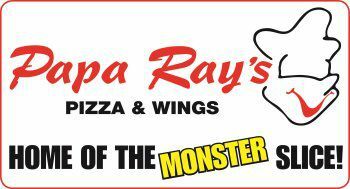 *Have you or any member of your family ever been affiliated with or employed by any Papa Ray's Pizza franchise owners? *Do you now or have you ever owned a business? *What skills/experience do you have that will help you be successful in this business? *Why do you think this franchise will enable you to reach your personal goals? *Do you have a Spouse or Partner that will be actively involved in the franchise? *Who will be responsible for the daily operation of your store? *Do you plan on financing any portion of your Franchise? *Have you been pre-approved for financing? *Would this business be your sole income source? *When would you be ready to invest in your franchise if you were approved? *Are you a US Veteran? *Are you now, or have you ever been party to any lawsuit - either as defendant or plaintiff ? *Have you ever filed for bankruptcy? *How many Papa Rays Pizza locations are you interested in opening? *Are you willing to consider other Locations? Please feel free to upload any documents that you would like to submit in addition to your application. I hereby attest to the accuracy of this financial data and authorize Papa Ray's Pizza and Wings, or its authorized agent, to verify any and all data submitted, and to make any additional credit / background checks which it deems necessary.